Have you ever wanted to ride through the beautiful vineyards of Sonoma County? Sign up for the 31st Annual Healdsburg Bicycle Tour on April 29th to see wine country from a whole new angle. This is your chance to experience what Bicycle Magazine calls one of the "seven greatest rides on Earth!" Whether you ride a rugged mountain bike or fancy road bike, cyclists of all levels are encouraged to join in the fun. You can bring your own bike or rent one in Downtown Healdsburg. The course takes you on a scenic trip through the Alexander, Dry Creek & Russian River Valleys. Our charming wine country hotel is just down the road from where the tour kicks off and ends. Start your morning off with our free hotel breakfast buffet. After your unforgettable bike tour, come back to our boutique hotel to enjoy a relaxing afternoon by one of our two pools and spend the evening around the outdoor firepits with a glass of wine. 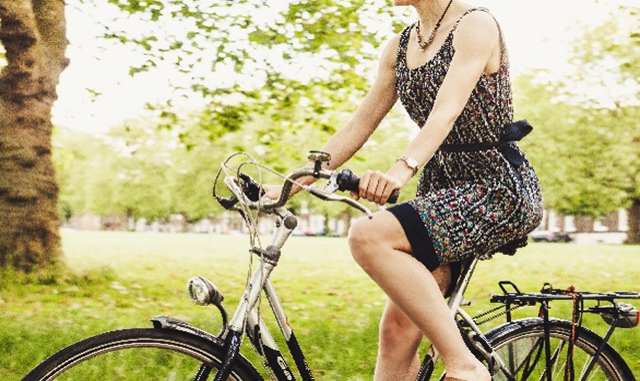 This fun bicycle event is one of the top things to do in Healdsburg during the spring season. There are three levels to choose from depending on your level of biking experience. Sign up for the 20-mile, 35-mile, or 60-mile route. The 20-mile route is mostly flat, while there are more hills in the 35-mile and 60-mile routes. No matter which course you choose, your bike tour includes a souvenir Bicycle Bandana, a gourmet catered lunch and a glass of world-class wine or craft beer. Registration is available online and the cost is $85 per person.